Heat grill to medium-high. In a small bowl, whisk together soy sauce, brown sugar, lime juice and ginger. Add steak and toss until coated. Let marinate in the fridge, at least 15 minutes and up 2 hours. In another bowl, toss broccoli florets with olive oil. 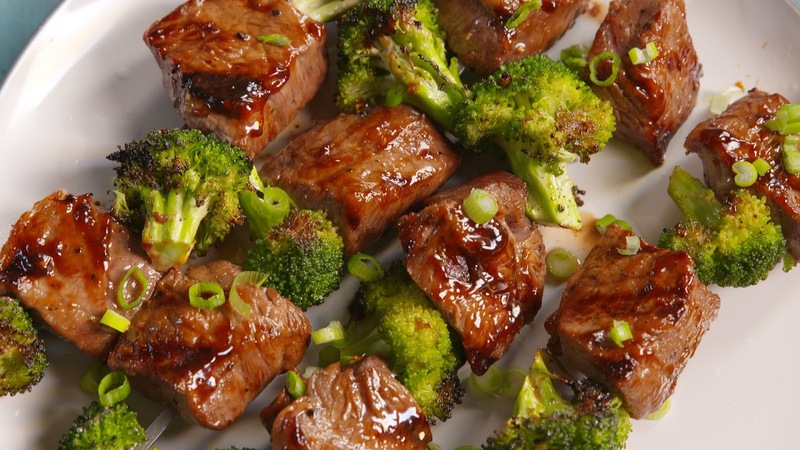 Skewer steak and broccoli and season all over with pepper. Grill, turning occasionally, until steak is medium, 8 minutes. Squeeze with lime, garnish with green onions, and serve.